Scripture presents a very special group of people who honor their Creator by worshipping on His holy Sabbath when all the rest of the world rejects it. They are called Sons of Zadok. The Sons of Zadok are unique. They have so surrendered their lives to Yahuwah, that their wills are merged in His will. Their lives perfectly reflect the divine image. Sons of Zadok dress and speak and act as Yahuwah directs. They are His, and He is theirs. While they serve their fellow man, in a very special sense, Sons of Zadok minister unto Yahuwah. “The sons of Zadok, . . . they shall come near to Me to minister to Me; and they shall stand before Me . . . says Master Yahuwah. They shall enter My sanctuary, and they shall come near My table to minister to Me, and they shall keep My charge. Sons of Zadok have a very high calling. Throughout time, there has only been a handful of such people, so thoroughly dedicated to serving the Most High, that they are one with the Eternal. The words they speak and the deeds they do are a revelation of the thoughts and feelings of the One they love and serve. Such a high destiny requires a special preparation. This training cannot be obtained in worldly universities. Not even a seminary can properly educate those who would be Sons and Daughters of Zadok. Moses’ preparation for his high calling was not obtained in the royal courts of Egypt, under the world’s best educators. 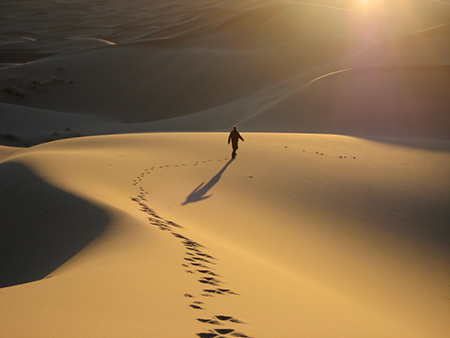 It was received in the solitary wastes of the dessert, where his soul communed one-on-one with that of his Maker. Moses’ preparation for his high calling was not obtained in the royal courts of Egypt, under the world’s best educators. It was received in the solitary wastes of the dessert, where his soul communed one-on-one with that of his Maker. This is the preparation required of all who would be Sons of Zadok. 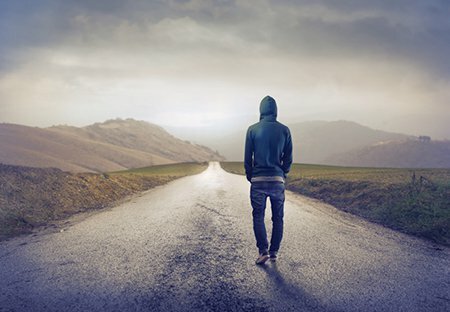 It is a very solitary walk far from the prestige of worldly honors, or the questionable “fellowship” of pew-warmers who are not committed to living wholly for Yahuwah. All who fully dedicate themselves to Yahuwah, will be obedient to every particular of the divine Law – including the Sabbath of the fourth commandment. As soon as obedience is rendered on this point, however, each must stand alone. The seventh-day Sabbath can only be calculated using the ancient luni-solar calendar of Creation. This is extremely unpopular with priests, pastors, friends and family alike. All who reject the obligation to worship the Creator on His Sabbath will rise up against those who seek to obey. Such it has ever been between those who serve Yahuwah and those who serve Him not. The result is that modern Sons and Daughters of Zadok, like their brothers and sisters of ages past, must often worship alone. At first, this can somehow feel wrong. 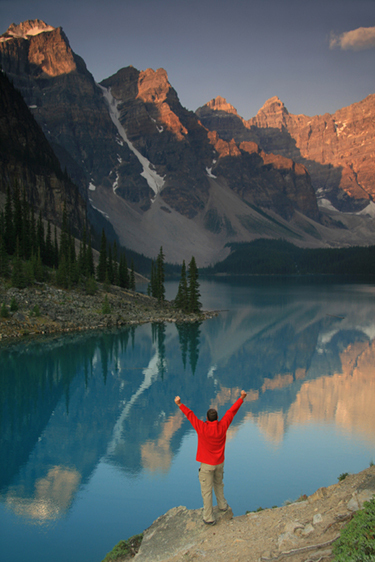 When a man is used to hearing inspiring sermons under beautiful stained-glass windows and listening to soaring music, the quiet of the lake shore can seem somehow less “worshipful.” When a woman is used to contributing to potluck dinners after church services, teaching children’s Sabbath Schools, and attending prayer meetings, the solitary worship in one’s own bedroom can seem overwhelmingly lonely. Man-made worship habits do not necessarily exalt the Creator. A song beautifully sung before a crowded congregation, does not reach the ears of Yahuwah if it is sung from a heart full of self-exaltation. The simple hymn, sung alone in the solitude of one’s own home, receives Yahuwah’s blessing if flowing from a heart of devoted love. Angels, hearing such a song, delight to join their voices to that of the humble believer and the chorus swells as a mighty refrain, echoing through the vaults of Heaven and bringing glory and honor to the One adored. 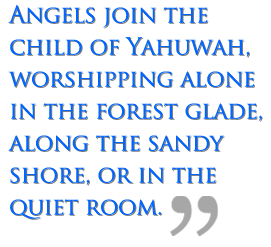 Angels join the child of YAH, worshipping alone in the forest glade, along the sandy shore, or in the quiet room. The humblest home ekklesia, with many or with one, can seem like a palace for the rich in faith dwell there. Because true worship is an act of devotion, stemming from a heart overflowing with love and gratitude, it is actually easier to worship alone than in the company of careless or indifferent worshippers. Scripture does not dictate what form worship is to take. Anything that draws the mind and the heart in affection and loyalty to one’s Maker is acceptable to do in worship. Be willing to try new things in your worship service. What is possible with a crowd, may not be possible with a single family or an individual. However, this does not lessen the impact on the heart nor is it less acceptable to Yahuwah because it comes from an individual or family alone, rather than a crowded church. If at all possible, spend the holy hours in nature. This is one of the greatest ways to draw the heart upward to Heaven. Elijah was another Son of Zadok who lived a very solitary life, preparing for his life’s work in the school of Heaven. Yahuwah individually instructed him that the High and Lofty One that inhabiteth eternity is not to be found in the wind, earthquake or fire. Not in loud commotions or riotous acts does the communion of human with divinity take place. Yahuwah spoke to Elijah in “a still small voice.” (1 Kings 19:12) Such a still, small voice cannot be heard when worship is buried under the forms of tradition or bound about by others’ expectations. It is far away from the noise of modern society, away from the distractions of unbelievers, that the heart can best hear the voice of the Beloved. These precious times of fellowship with the Creator of the universe are what prepare the Sons and Daughters of Zadok to stand as witnesses in the earth for the Kingdom of Heaven. Yahushua Himself referred to the rich spiritual rewards given those who humbly bow before the Omnipotent in the quiet of solitary worship. Offer your praise and your prayers to your Father in Heaven. Rest in the assurance of His love for you, and His acceptance of your worship. Worship the Creator in spirit and in truth on His holy Sabbath day. He loves you with a love that will never let you go. Your worship, simple and alone, free of worldly display, is acceptable in His eyes.